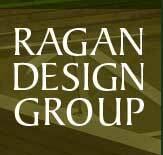 Ragan Design Group's licensed Professional Planners have been serving New Jersey communities with an array of planning services since 1978. Master Planning, Historic District Plans, Architectural and Design Guidelines, Zoning Ordinances, Performance Zoning, Affordable Housing Plans, Redevelopment Plans, and Development Review are planning services available to our public sector clients. There are many tools in the planning tool box that can be employed to assist a community in understanding the effects of land use policy decisions and in planning for desirable short and long-term results. These include fiscal and environmental impact assessments, build-out analysis, traditional neighborhood design, pedestrian and bicycle circulation plans, conservation design, and transfer of development rights. Our firm has provided planning services to a wide range of municipal clients in southern New Jersey and beyond: large and small, urban and rural, old and new. Approximately ninety percent (90%) of our planning contracts are with local government jurisdictions. With a mastery of New Jersey planning laws, rules and regulations, an awareness of the many competing interests vying for the attention and resources of local jurisdictions, and a creative approach to community design and growth management, we are confident that we are well equipped to serve as a resource for New Jersey communities. Our planning approach begins with a solid understanding of the natural and built environment with resource protection and management as a priority. Community Planning brings together scientific, geographic, technical, and statistical information with broader social, environmental and economic goals. As planners we believe that planning for the future of a community or region requires balance between competing interests and demands. Planning is responsive to current pressures or challenges, but most importantly planning is about creating consensus around a vision and striving make the vision a reality. Taking the opportunity to consider the many elements that influence decision making and community design, opens doors to alternatives that may not have been apparent to citizens, advocacy groups, business owners and elected officials without such concerted efforts to analyze and forecast. As planners, we at Ragan Design Group comprehensively consider the big picture and all of the complexities of land use, the environment, housing and the economy. We act as advocates for our clients, while presenting information on the big picture. We facilitate productive relationships between stakeholders at the local, county, regional and state planning levels. Our commitment to the principles of smart growth, and our respect for the unique historical, environmental, and cultural context of individual communities are unwavering.